The Human Settlements: How Human Beings Colonized the Five Continents? In 1871, Charles Darwin in his book ‘The Descent of Man’ suggested that humans have evolved from the same African ape ancestors that gave rise to the gorilla and the chimpanzee. Although little fossil evidence existed at that time to support Darwin’s case, numerous fossil discoveries made since then strongly support his hypothesis. 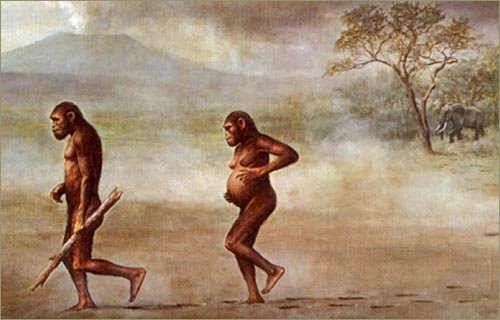 The first humans or how the human race evolved is a matter of some interesting phases. 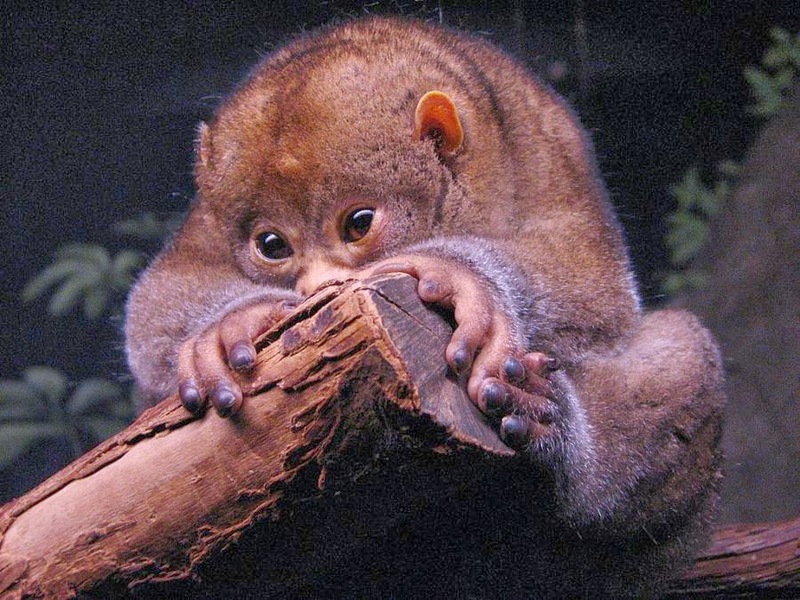 The earliest primate with two distinct qualities – grasping the fingers and binocular vision, evolved around 65 million years ago giving rise first to prosimians and then to monkeys. Other mammals do have binocular vision but the combination of the above two provided the ground for an ease in adaptation with the environment. The earliest primates split into two further categories around 40 million year – prosimians (before monkeys) and anthropoids. The prosimians were nocturnal generally feeding on fruits and plants. The anthropoids, or higher primates, include monkeys, apes, and humans. Anthropoids are almost all diurnal—that is, active during the day—feeding mainly on fruits and leaves. Evolution favoured many changes in eye design, including colour vision, that were adaptations to daytime foraging. An expanded brain governs the improved senses, with the braincase forming a larger portion of the head. Anthropoids, like the relatively few diurnal prosimians, live in groups with complex social interactions. About 30 million years ago, some anthropoids migrated to South America, where they evolved in isolation. Around 25 million years ago, anthropoids that remained in Africa split into two lineages: one gave rise to the Old World monkeys and one gave rise to the Hominids. Hominids include the apes and the hominids (humans and their direct ancestors). Apes exhibit the most adaptable behaviour of any mammal except human beings. Once widespread in Africa and Asia, apes are rare today, living in relatively small areas. No apes ever occurred in North or South America. Apes, including our closest relatives, the chimpanzees, arose from an ancestor common to Old World monkeys. The first hominids were australopithecines, of which there were several different kinds. The ability to walk upright on two legs marks the beginning of hominid evolution. One can draw the hominid family tree in two very different ways, either lumping variants together or splitting them into separate species. There may have been several species of early Homo, with brains significantly larger than those of australopithecines. The first hominid species to leave Africa was the relatively large-brained Homo erectus, the longest lived species of Homo. Modern humans evolved within the last 600,000 years, our own species within the last 200,000 years. Our species is unique in evolving culturally. Language and cultural adaptations have made the level of advancements to the extent we living in. Differences in populations in skin colour reflect adaptation to different environments, rather than genetic differentiation among populations. How Human Beings Spread Across the World? Most paleoanthropologists and geneticists agree that modern humans arose some 200,000 years ago in Africa. The earliest modern human fossils were found in Omo Kibish, Ethiopia. Sites in Israel hold the earliest evidence of modern humans outside Africa, but that group went no farther, dying out about 90,000 years ago. Genetic data show that a small group of modern humans left Africa for good 70,000 to 50,000 years ago and eventually replaced all earlier types of humans, such as Neanderthals. All non-Africans are the descendants of these travellers, who may have migrated around the top of the Red Sea or across its narrow southern opening. Discoveries at two ancient sitesÑ artifacts from Malakunanja and fossils from Lake MungoÑ indicated that modern humans followed a coastal route along southern Asia and reached Australia nearly 50,000 years ago. Their descendants, Australian Aborigines, remained genetically isolated on that island continent until recently. Paleoanthropologists long thought that the peopling of Europe followed a route from North Africa through the Levant. But genetic data show that the DNA of today's western Eurasians resembles that of people in India. It's possible that an inland migration from Asia seeded Europe between 40,000 and 30,000 years ago. Around 40,000 years ago, humans pushed into Central Asia and arrived on the grassy steppes north of the Himalaya. At the same time, they travelled through Southeast Asia and China, eventually reaching Japan and Siberia. Genetic clues indicate that humans in northern Asia eventually migrated to the Americas. Exactly when the first people arrived in the Americas is still hotly debated. Genetic evidence suggests it was between 20,000 and 15,000 years ago, when sea levels were low and land connected Siberia to Alaska. Ice sheets would have covered the interior of North America, forcing the new arrivals to travel down the west coast.